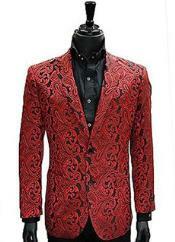 Mensusa https://www.mensusa.com/articles/red-blazer-men-to-make-a-powerful-public-appearance.html Red Blazer Men- Apparels That Enable You To Make A Powerful Public Appearance The red blazer men are a gallant choice of apparels for the prom and other special events. These apparels accentuate your appearance in the most gracious style. The red blazer men appear on the scene of men's fashion as a powerful choice of apparel for the prom and special event dressing. The prom occasion and the special events hold the right platform for you to stand up and display our fashion pursuits to the world. The red shaded blazers are a wonderful option to embrace in those instances. The power-pact appearance will enable you to pull the attention and the focus of the party floor, right at your first step. Each of the shades hold a certain character. The red as a shade stands for power, new aspirations and hope. In that regard, appearing to the public in the red blazer men, you boost up your look and appearance. As the party wear, these virtues come very effective to earn you the attention of the crowd. These apparels always project a classy and elegant look and on the other hand, it matches the vibrancy and dynamism that prevail in the part ambiance. Relying on these shirts, you will never ever regret upon your choice. Hence, the red blazers are among those apparels that you will inevitably find the wardrobe of the fashionable men. The blazers are much lightweight fabrication as contrasted to the conventional suit coats. It is obvious that in the casual parties and prom occasions, you will require participating in various activities. Hence, you inevitably need an apparel that allows your comfort and convenience. The lighter weight fabrication of the blazers suffices to these aspects. Asides, these blazers always offer perfection in fitment and hence, you can carry these outfits in style. The feeling of comfort and convenience will project confidence and hence, you can be assured that you will attract the attention of the people around you. The market will support your fashion pursuits by offering an inexhaustible portfolio of red blazers. The blazers are available in various styles & design and it keeps a balance between the classic and contemporary fashion trends. Thus, in one hand, you appear to be trendy and sleek, while on the other, your appearance display elegance and gravity. The pairing of the red blazers with black trousers and fashion accessories can give you a specially-flattered appearance at the prom and special events. These premium outfits are the best impetus that you can ever get for your fashion pursuits. www.mensusa.com offers a delightful collection on red blazers as well as other apparels and fashion accessories for men. The store offer the products from the top international brands and hence, can always assure about the qualitative aspects of the products that it sells. The best part about the store is that you get the premium product for the most reasonable prices.